In case you like to read a specific hexagram, then use this idex page. In case you prefer to ask a question or if you like to read a specific hexagram, then use this idex. Key for identifying the hexagrams (table 1) by combining the upper trigram with the lower trigram. Then click on the intersection to select your hexagram. Or select from table 2 your hexagram by number. Select a hexagram from the drop-down list. He gets his head in the water. Danger. Here in conclusion another warning is added. After crossing a stream, a man's head can get into the water only if he is so imprudent as to turn back. As long as he goes forward and does not look back, he escapes this danger. But there is a fascination in standing still and looking back on a peril overcome. However, such vain self-admiration brings misfortune. It leads only to danger, and unless one finally resolves to go forward without pausing, one falls a victim to this danger. Religious attitudes are likewise influenced by the spiritual atmosphere prevailing in times after completion. In divine worship the simple old forms are replaced by an ever more elaborate ritual and an ever greater outward display. But inner seriousness is lacking in this show of magnificence; human caprice takes the place of conscientious obedience to the divine will. However, while man sees what is before his eyes, God looks into the heart. Therefore a simple sacrifice offered with real piety holds a greater blessing than an impressive service without warmth. The finest clothes turn to rags. Be careful all day long. In a time of flowering culture, an occasional convulsion is bound to occur, uncovering a hidden evil within society and at first causing a great sensation. But since the situation is favorable on the whole, such evils can easily be glossed over and concealed from the public. Then everything is forgotten and peace apparently reigns complacently once more. However, to the thoughtful man, such occurrences are grave omens that he does not neglect. This is the only way of averting evil consequences. After three years he conquers it. Inferior people must not be employed. "Illustrious Ancestor" is the dynastic title of the Emperor Wu Ding (±1250-1192 BC) of the Yin dynasty (1600-1046 BC - also known as the Shang dynasty). After putting his realm in order with a strong hand, he waged long colonial wars for the subjection of the Huns who occupied the northern borderland with constant threat of incursions. The situation described is as follows. After times of completion, when a new power has arisen and everything within the country has been set in order, a period of colonial expansion almost inevitably follows. Then as a rule long-drawn-out struggles must be reckoned with. For this reason, a correct colonial policy is especially important. The territory won at such bitter cost must not be regarded as an almshouse for people who in one way or another have had themselves impossible at home, but who are thought to be quite good enough for the colonies. Such a policy ruins at the outset any chance of success. This holds true in small as well as large matters, because it is not only rising states that carry on a colonial policy; the urge to expand, with its accompanying dangers, is part and parcel of every ambitious undertaking. The woman loses the curtain of her carriage. On the seventh day you will get it. When a woman drove out in her carriage, she had a curtain that hid her from the glances of the curious. It was regarded as a breach of propriety to drive on if this curtain was lost. Applied to public life, this means that a man who wants to achieve something is not receiving that confidence of the authorities which he needs, so to speak, for his personal protection. Especially in times "after completion" it may happen that those who have come to power grow arrogant and conceited and no longer trouble themselves about fostering new talent. This as a rule results in office seeking. If a man's superiors withhold their trust from him, he will seek ways and means of getting it and of drawing attention to himself. We are warned against such an unworthy procedure: "Do not seek it." Do not throw yourself away on the world, but wait tranquilly and develop your personal worth by your own efforts. Times change. When the six stages of the hexagram have passed, the new era dawns. That which is a man's own cannot be permanently lost. It comes to him of its own accord. He need only be able to wait. He gets his tail in the water. In times following a great transition, everything is pressing forward, striving in the direction of development and progress. But this pressing forward at the beginning is not good; it overshoots the mark and leads with certainty to loss and collapse. Therefore a man of strong character does not allow himself to be infected by the general intoxication but checks his course in time. He may indeed not remain altogether untouched by the disastrous consequences of the general pressure, but he is hit only from behind like a fox that, having crossed the water, at the last minute gets its tail wet. He will not suffer any real harm, because his behavior has been correct. This hexagram is the evolution of Tai Peace (hexagram 11). The transition from confusion to order is completed, and everything is in its proper place even in particulars. The strong lines are in the strong places, the weak lines in the weak places. This is a very favorable outlook, yet it gives reason for thought. For it is just when perfect equilibrium has been reached that any movement may cause order to revert to disorder. The one strong line that has moved to the top, thus effecting complete order in details, is followed by the other lines. Each moving according to its nature, and thus suddenly there arises again the hexagram Pi, Standstill (hexagram 12). Hence the present hexagram indicates the conditions of a time of climax, which necessitate the utmost caution. He who stands above things brings them to completion. Hence there follows the hexagram of After Completion. After Completion means making firm. This hexagram is the only one in which all the lines stand in their proper places. It is the hexagram of transition from Tai, Peace (11) to Pi, Standstill (12). It contains the two primary trigrams Kan, water, and Li, fire, which likewise, in the reverse order, constitute its nuclear trigrams. 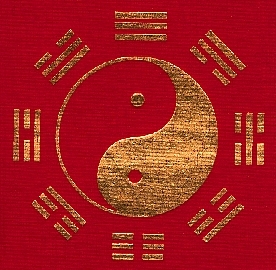 Kan strives downward and Li upward; hence the outer and the inner organization of the hexagram create a state of equilibrium that is obviously unstable. After Completion. Success in small matters. At the beginning good fortune. The transition from the old to the new time is already accomplished. In principle, everything stands systematized, and it si only in regard to details that success is still to be achieved. In respect to this, however, we must be careful to maintain the right attitude. Everything proceeds as if of its own accord, and this can all too easily tempt us to relax and let thing take their course without troubling over details. Such indifference is the root of all evil. Symptoms of decay are bound to be the result. Here we have the rule indicating the usual course of history. But this rule is not an inescapable law. He who understands it is in position to avoid its effects by dint of unremitting perseverance and caution. “After Completion. Success.” In small matters there is success. “Perseverance furthers.” The firm and the yielding are correct, and their places are the appropriate ones. “At the beginning good fortune”: the yielding has attained the middle. If one stands still at the end, disorders arise, because the way comes to an end. The ruler of the hexagram is the six in the second place; although weak, it has success because it stands in the relationship of correspondence to the strong nine in the fifth place. Perseverance furthers because all the lines are in their appropriate places, and therefore any deviation brings misfortune. At the beginning all goes well, because the yielding six in the second place occupies the middle in the trigram Li, clarity. It is a time of very great cultural development and refinement. But when no further progress is possible, disorder necessarily arises, because the way cannot go on. And arms himself against it in advance. When water in a kettle hangs over fire, the two elements stand in relation and thus generate energy (cf. the production of steam). But the resulting tension demands caution. If the water boils over, the fire is extinguished an its energy is lost. If the heat is too great, the water evaporates into the air. These elements here brought in to relation and thus generating energy are by nature hostile to each other. Only the most extreme caution can prevent damage. In life too there are junctures when all forces are in balance and work in harmony, so that everything seems to be in the best of order. In such times only the sage recognizes the moments that bode danger and knows how to banish it by means of timely precautions. A hexagram contains a lot of information. The most visible information is found when we divide a hexagram into two pieces of three lines each; we then see the two so-called 'trigrams' that make up the hexagram. There is an upper trigram and a lower trigram: the upper primary trigram tells something about your environment in relation to your situation; this is often about everything outside of you. The lower primary trigram presents you, the questioner, and tells you something about yourself and about your own attitude. If the question is about something or someone else, then the lower trigram is that other and the upper trigram everything outside that other entity, for example an intended business partner or a goal that wants to be reached. The two primary trigrams are also related to each other as cause and effect - the lower trigram is then the cause, the upper is the result. The value of the eight trigrams can hardly be underestimated. They are the foundation of the Yijing, and in the current layout of the book the sequence of the hexagrams seems to be mysteriously determined by the trigrams from which the hexagrams are constructed. 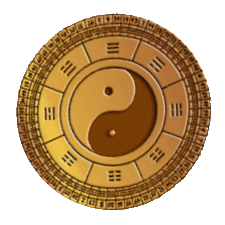 Together with the teachings of the Five Phases, the eight trigrams are the most important core of Chinese thought. 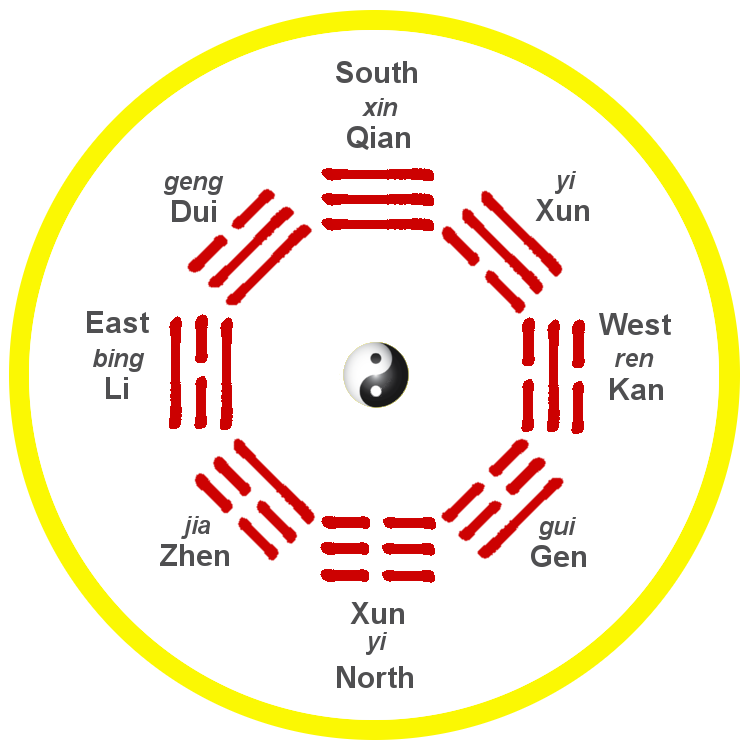 They are applied to Feng Shui (the ancient doctrine for the placement of house and grave), in various forms of Chinese astrology, traditional Chinese medicine, and there is even a form of defensive art, Baguazhang, which is entirely geared to the eight trigrams. Anyone who delves into Chinese philosophy will always encounter the eight trigrams and their associations. They are linked to the eight directions, to body parts, numbers, country characteristics, smell, color and taste, in short, they are an important source for the systematization of many things. You can read much more about the trigrams and their meaning in the eighth Wing of the Ten Wings, a part of the Yijing. You can find this text here. The lower nuclear trigram is formed by the 2nd, 3rd and 4th line, the upper nuclear trigram is formed by the 3rd, 4th and 5th line (always counted from bottom up). They overlap. The properties and symbolism of the trigrams are no different here than those discussed with the primary trigrams. However, they now indicate what took place before the current situation. Nuclear trigrams indicate which seed has led to the present state. They also indicate what plays out on unconscious levels: wishes, desires, fears that are not expressed. The upper nuclear trigram indicates what lives unconsciously and wants to come out, the lower nuclear trigram indicates what lives deeply unconsciously and does not want to come out. Especially the latter is important, it forms in many cases the engine behind our actions. In many descriptions there are trigrams of which the qualities are 'not completed', or 'limited' or 'obstructed': another factor influences the trigram so that this can not show its properties properly. We can see what the trigram influences by looking at the lines that surround the nuclear trigram. These lines create a different trigram that encloses the nuclear trigram and so prevents the nuclear trigram from expressing itself. This 'enveloping trigram' is called in Chinese the baoti, the enveloping structure, and its application probably comes from Lin Li (1120-1190). Lin himself says about the baoti: 'To envelop this' means that it is able to give life, to be born; "Enveloping" and "giving life" is actually one meaning. "(The character bao 包 'envelop' originally represented a fetus in the womb, hence the connection between 'enveloping' and 'giving life'.) 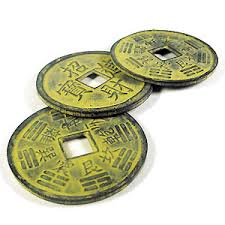 The two baoti-trigrams protect the nuclear trigrams and at the same time ensure that they can not express themselves, can not show themselves in adulthood, because they are not yet fully grown. This hexagram has the lower nuclear trigram Wind ☴. The lines around this core trigram form the trigram Water ☵. Water thus envelops the trigram Wind. In other words: Water ensures that the qualities of Wind remain hidden or can not manifest themselves. Communicating, achieving long-term results, not giving up but continuing consistently, daring to be curious and so on are hampered by insecurity, fears, not getting a grip on the situation, the feeling of having to flow along in an unclear course that does not have a well-defined goal. The upper nuclear trigram is enveloped in the same way by another trigram. In the same hexagram as above, the upper nuclear trigram is Heaven ☰. This is enveloped, hidden or obstructed by the trigram Earth ☷. This creates the image of innovation, creativity and creative power, leadership and a focused focus that are impeded by passivity, a wait-and-see attitude, and in the worst case by endurance. A strong-willed leader who can not carry out his plans because the people oppose him. In the above example we see a total of six different trigrams: We have the primary trigrams Mountain ☶ and Lake ☱, the nuclear trigram Wind ☴ and Heaven ☰, and the baoti, the enveloping trigrams Water ☵ and Earth ☷. However, it can also happen that a trigram occurs more frequently in the hexagram, and that has interesting consequences. In this hexagram we see the lower nuclear trigram Thunder ☳. Around it is as baoti the trigram Wind ☴. Thunder is then locked up in Wind: innovation, a new start and fast progress (Thunder) are obstructed, stopped or protected by an attitude of 'slowly but surely', small steps and focus on details; a lot of communication but little concrete result (Wind). In this way, Wind ensures that spontaneity and self-renewal do not stand a chance. But this enveloping trigram Wind can also be seen as the upper primary trigram - the trigram that often symbolizes the counterparty or the environment. The upper primary trigram is here also the obstructing trigram, in other words: it is the counterparty, the environment that in this case holds back the renewal and a concrete breakthrough. That with the baoti profound insights can be obtained we see with hexagram 37. This hexagram has the lower nuclear trigram Fire ☲. It also has Fire as the upper nuclear trigram. This nuclear trigram is itself packed by the trigram Fire. If we see the lower trigram as the questioner, which is therefore Fire, then the thought arises of someone who has a clear vision, has a good idea of the developments, but can not express this. He is obstructed in this, but the limiting factor is he himself: he attaches so much to his own view that he can no longer objectively assess its value. He wants his vision to remain pure and unaffected by penetrating external influences (the upper basic trigram Wind ☴). That is why he chooses to protect his vision by keeping it for himself. • What it asks: take the lead in your situation. Give guidance to others, deliberately dedicate yourself to your chosen goal. Focus on external factors that need guidance. Make your intention and ideas clear. Act forcefully and strong. • What it shows: male dominance outside of you, a strong-willed person or environment, a ratio-driven external factor that wants to steer. A father figure. • How to express it: Heaven as the upper trigram can mean that you want to carry out plans; you have ideas and want to set up something that gives recognition in your environment, and perhaps in society. You want to convey spiritual values ​​in the world. You want to mean something. In the worst case it can mean that you are stupid and stubborn. • What it asks: find your inner motive. Focus on your intent, your motivation and your goal. Focus on your inner strength that sets everything in motion, the invisible energy that causes things to run according to your plan. Use your head, your intellect. Be strong inside. • What it shows: inner strength, rationality and focus on aspects within yourself. Take charge of yourself, the spirituality behind your actions. • How to express it: an inner force that makes you confident and decisive. You have energy in you, but do not immediately feel the need to do something with it. It is your driving force, your motivation. You are your own leader and independent of others. In the worst case it can mean that you are selfish, and an introvert to the extreme. there is an urge to act as a leader or to show your own creativity. You have ideas that you want to achieve, but they remain in the concept phase. there is a strong father bond, or bonding with the fatherly. The inspiration that you feel inside can not be used. You have a direction but no goal. There is a strong, masculine influence that imposes his will. The ratio has the upper hand. There is more thought in abstract theories where daily practice is not seen as leading. Ideas without concretization are an impeding factor. • What it asks: open up, be receptive to the needs in your surroundings and take care of them. Maintain a mental servility without having any expectations nor judgments about the work at hand. Make sure the work is done. • What it shows: growth through the right nutrition. Wei wu wei - do without doing: an environment or a situation that by itself and by its own open attitude will develop to its destination. • How to express it: Earth as the upper trigram can mean you open yourself to external influences. You want to experience the outside world, experience it without directing it yourself. You want to be helpful, supporting others. In the extreme case, it can mean that you are passive, and allow yourself to be guided too much by your environment and even used by others. • What it asks: be open to your inner growth. Give your own ideas and intentions the space to become concrete. Take care of yourself, be open to your own needs and focus on the possibilities you have to implement ideas and intentions. Answer inner questions without question or judgment. • What it shows: the nurturing space within yourself, the inner mother, your strength to care for and to shape, to serve though not forbearing. • How to express it: as the lower trigram, Earth can mean you open up to everything that lives within yourself, without boundaries or conditions. You accept your own character, emotions and actions without judgment. You have a calm attitude and you do not need to do anything, you prefer to come to yourself. In the extreme case it can mean that you are a slave of your own emotions, and you allow yourself to be guided too much by your passive side. you want to be open to your environment, but you do not know how to express it. Caring qualities are not used, the realization of earlier plans is not realized. The space that is available for growth is not used. there is a strong mother bond, or bonding with the maternal. You feel a void inside, a cavity that wants to fill up. You experience passivity and aimlessness and see no possibilities to solve this. There is a passive attitude and the tendency to let things take their course. There is a lack of guidance; one is shielded by the female or motherly, the Yin. There is a dominant focus on the material, tangible and demonstrable result. You can easily be influenced. • What it demands: positive commitment and also find the same positivity outside yourself. Be stubborn, but without hurting. Be an example that others can mirror. • What it shows: the opening in the wall, the poetry of the universal rhythm, carefree naivety in dealing with your surroundings. Open-mindedness that can not be precipitated. • How to express it: as an upper trigram, the Lake can mean that you have a positive view of the world and your situation. You do not really worry, and you want to share your carefree with others. You are frank, you do not turn your heart into a murder pit. You are a mirror for your environment. In the worst case it can mean that you are childish naive, you do not care about your surroundings, and you do not dare to face real problems. • What it asks: inner satisfaction. Be your own source of inspiration and carefree. Dare to look outside your built-in structures. Focus on unexpected possibilities that you would not normally use quickly. • What it shows: your inner source, the inexhaustible positive power of your deepest being. The mirror of your soul, your unique personality as a carrier of your qualities. • How to express it: as a lower trigram, the Lake can mean that you have a rich inner life. You are aware of your feelings and what they mean to you. You have a lot of confidence and do not worry about the future. Your feelings are your inspiration, but you can not buy them here. In the worst case, you drown in your own emotional world and depression and denial of your weaker side can be the result. there is a positive-naive side that wants to go out. The child wants to be seen in yourself. You have the need not to conform to the expectations of others. the positive side of your character is tucked away. You become uncertain of your own optimism and you may wonder if it is justified. Your source is not fed - your inner Lake is being blocked. A naive view of the cases where responsibilities are ignored or denied keeps progress in its grip. An adult attitude is lacking; the ball is always reflected back. Unconventional means or decisions that fall outside the set framework are an impeding factor. • What it asks: show your own truth. Be involved, dare to attach to that what transformations can bring about. Trust your own insights. • What it shows: your dependence on your environment, something outside yourself that can feed you so that you can give back heat. • How to express it: as an upper trigram, Fire can mean that you value the opinion of others. You find it important to fight injustice and to tell your own vision about it to others. You feel at home in groups, and like to work together. In the extreme case it can mean that you are pushy, and possessive. • What it asks: face your own truth: connect with that which defines you as a unique person and let this be your motivation. Be aware of your inner fire, your passion. • What it shows: the power source that burns your fire. Your defense mechanism to protect your soft sides. Your heart. • How to express it: Fire as the bottom trigram can mean that you are looking for the truth in yourself, instead of in your environment. Your own norms and values ​​are more important to you than those of society. You adhere to principles, and you have a rational impact. In the extreme case it may mean that you see your own principles as the only and correct truth, and are not open to the truth of others, or that you are too attached to your own conscience. your own insights do not come outwards. You have vision, but see no opportunities to share it. The truth is inside, but does not want to stay there. You are afraid to attach yourself, to connect to that outside of yourself what you can feed. you cherish your own truth and insights as a precious treasure. Its value for the world has not yet penetrated you. Your inner Fire can not grow. One is dependent on, is too attached to one's own vision and personal imagery. People are proud of relationships with others without these connections being nourishing in the current situation. The external form goes beyond the substantive function. • What it asks: concentrate on small steps and on details. Work in the long term. Provide a roadmap that you can accurately follow to the letter. Communicate; practice your influence in an unobtrusive way and ensure balance in your environment. Show willpower. Put the dots on the i. • What it shows: seemingly insignificant influences from outside that ultimately have a lasting and irreversible effect. Ceaseless meekness without ulterior motives. Erosion that can make the highest mountains wear. • How to express it: the Wind as the upper trigram can mean that you are curious, and would like to stay informed about what is happening in your area. You need exchange and are looking for balance. You have more need for details than the main lines. In the extreme case it can mean that you are fussy and only look at knowledge itself than at its value. • What it asks: subject yourself to an accurate self-examination. Be curious about your own motivations; create an inner dialogue. Be patient and steadfast. Do not give up. Ask yourself how you can give your own character permanence without doing the violence. • What it shows: the power to keep going and not be discouraged by setbacks. Meekness towards your own abilities and limitations. The continuous search for balance in yourself. • How to express it: as the bottom trigram, Wind can mean that you subject yourself to a thorough self-examination. You are looking for the causes that have made you what you are now. The 'why' is now important to you. You continue until you have the answers that you desire. In the extreme case it can mean that you look more closely at the separate parts of your being and your situation than at the whole. It can also indicate indecision. you feel the need to communicate, but you do not yet know how to express yourself well. You want to take small steps and produce a consistent result in the long term, but other factors hamper this. 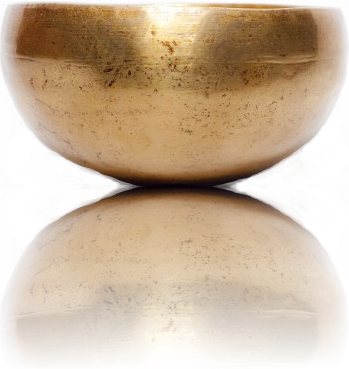 you miss an inner dialogue, and are unable to balance pros and cons in a balanced way. Indecision is the result. There is radiation and buttons are not cut. The focus is on communication and exchange back and forth without achieving anything. One is busy with details and loses the big lines in the eye. What is far away is more important than what is close. • What it asks: set limits. Be unwavering, do not be fooled. Hold on to what you have and protect it, make sure it is not affected. Be reliable and clear. Around it. • What it shows: an unyielding power that you can not ignore. Reliability that can not be influenced by grilling or the delusion of the day. A certainty you can build on. A closed and conservative moloch. • How to express it: the Mountain as the upper trigram can mean that your environment is your grip. You are practical, more a doer than a thinker, and focused on results. You have one goal in mind and focus entirely on that, something more important is not there. You are steadfast and resolute. Also to your surroundings you make clear what you want to achieve. In the extreme case it can mean that you are stubborn, and more focused on the goal than on its consequences. • What it asks: go inside, shut yourself off from outside influences. Put a point behind ongoing and lingering processes within yourself, around this in a way that gives you rest. • What it shows: inner peace. The certainty of a stable mind. The boundaries within which your mind can function with confidence. • How to express it: as a bottom trigram, Berg can mean that you need peace, meditation and contemplation. You are focused on your own processes and not on those of your environment. You seek guidance in your own values ​​and try to discover your own certainties. You want to do this yourself without the help of others. You do not need to interfere with your environment in yourself. In the extreme case it can mean that you completely isolate yourself, and no longer have an eye for the interaction between you and your environment. you seek a quiet point in yourself that helps you to deal with your daily activities. You have a strong meditative tendency, but are prevented from doing so. Your steadfastness and reliable attitude are not seen. you feel like you have a big secret in you that needs to be protected. This is your foothold, but you feel the threat of other factors that affect your inner security. Stubbornness, an aversion to change or renewal hinders. There is a distant attitude, unwillingness to cooperate; one retreats into his own world. Obstacles are created that aim to maintain the status quo. • What it asks: do not resist the limits and restrictions that are imposed on you. Follow your own path within boundaries without worrying about a final destination. Accept that the erratic and uncertain circumstances can not be logically reasoned. The path you follow now appeals to your ability to release securities. • What it shows: unreliable elements outside yourself where you want to have no control over. A situation that changes unpredictably. Patterns that only become visible when developments have followed their course. • How to express it: as the upper trigram it can indicate that there is something in your environment, at least outside of you, that makes you insecure. You are influenced by events that affect you emotionally, your involvement is great. You are confronted with situations in which you are expected to make choices, while the choices may not always be clear to you. In the extreme case it can mean that external influences affect your decision-making skills, and you experience the environment as threatening. • What it asks: do you face fears, doubts and uncertainties. Make sure your emotions can flow freely. Find the inner journey that has neither goal nor end, but is an essential part of your being. • What it shows: the unconscious and unnameable part of your soul. The formless that adapts to the limits of it formed character. • How to express it: can indicate the Water as the bottom trigram that you have doubts about the way you want to go and about the goal you want to achieve. You are influenced by feelings of which you do not know the origin and are uncertain about your own motivations. In the worst case it can mean that you are depressed, and see no possibilities to achieve what you want. you have fears or doubts that occasionally come to the surface. However, your environment does not always see it. You have a free spirit that wants to be unbound and wants to take risks, but you are being stopped in this. your subconscious is mainly occupied at night; during the day there is no chance to come to the surface. Dreams are often the outlet valve. Emotions are stirring, but their relevance and meaning are completely unclear to you. The fear and emotion are governing. An uncontrolled, insecure attitude without a concrete chosen goal determines the progress. Inferior elements with secret or even bad intentions are an inhibiting factor. There is a lack of certainty, there is no clear vision or policy. • What it asks: take immediate action. Make your raw plans known. Let yourself be heard. The fist on the table. Make a new start, do not look back. Be inspired by your environment. Be resolute, do not be guided by possible consequences. Act according to your intuition. • What it shows: unexpected and shocking changes. An environment that rebels, that overthrows the established order. • How to express it: as an upper trigram, Thunder can mean that large and rapid changes take place in your environment. You see revolutions and revolutions taking place, or would like to bring about this yourself. What is happening now you would like to radically change. There are no calmer steps now. In the extreme case it can mean that you are like a bull in a china shop, and the long term consequences of your actions no longer sees. • What it asks: put old insights aside. Renew yourself, let go of the past. Look ahead, make a new beginning and make this decision without the expectation that action must be taken immediately. Cut that Gordian knot. • What it shows: the awakening insight. The sunlight of the dawn. Satori. • How to express it: Thunder as the bottom trigram can mean that there are big revolutions in you. You are a whirlwind of energy that recounts everything you assure for sure. You stand for a new period in your life, and want to break with old habits. In the extreme case it can mean that you are blowing yourself up and are busy with self-destruction. You want to change too quickly. you feel a strong urge to action, to performance and renewal, a new start, but is hampered in this. Your strong intuition finds no reception in your surroundings. you are driven by a primary force: spontaneity is your motive, but it is hindered. You want to renew yourself but do not know how. One wants a (too) fast progress; the desire or demand for radical renewal without taking into account the consequences determines the situation. There are aggressive and rigorous forces at work that would rather see a revolution than that the current condition is maintained. This hexagram is the evolution of Tai, Peace (hexagram 11). The transition from confusion to order is completed, and everything is in its proper place even in particulars. The strong lines are in the strong places, the weak lines in the weak places. This is a very favorable outlook, yet it gives reason for thought. For it is just when perfect equilibrium has been reached that any movement may cause order to revert to disorder. The one strong line that has moved to the top, thus effecting complete order in details, is followed by the other lines. Each moving according to its nature, and thus suddenly there arises again the hexagram Pi, Standstill (hexagram 12). Hence the present hexagram indicates the conditions of a time of climax, which necessitate the utmost caution.